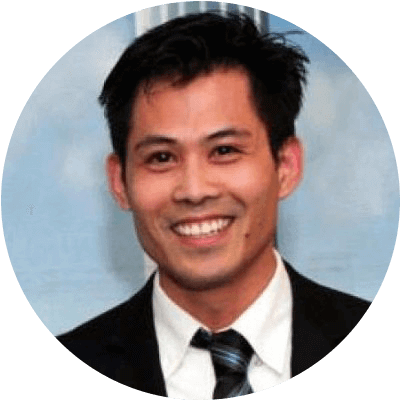 Phong (Peter) Nguyen is the President and Marketing Director of ProWeb365, a web design and marketing company. He leads a talented team of web designers, web developers, and digital marketers who love to help businesses and organizations with their online marketing challenges. Phong came from an entrepreneurial family, which helped him develop a passion, early in life, for business. He started 3 business ventures in college and he hasn’t stopped. Phong holds a BA from Saint Olaf College, where he majored in Studio Arts and minored in Business Management, and an MBA from The University of Saint Thomas, with an emphasis on Marketing and Management. During college, Phong learned a valuable piece of advice: “If you want to become successful in business, don’t just go for the money, try to discover and then solve the pains or problems people are suffering from. If you solve their problems, you will be successful.” Phong keeps this advice close to heart, and when the economy crashed in 2008, he focused on finding ways to help businesses improve their bottom lines at a minimum cost. Seeing a promising future in web-focused marketing that allows businesses to promote themselves relatively inexpensively, Phong created a local online business directory; he even went door-to-door to local businesses and photographed them and posted the images on his directory website. He added value for customers and generated new revenues by creating discount cards customers could buy for $10, and use for the whole year, while receiving discounts for purchasing goods or services from other businesses listed on his website. Anyhow, soon Phong learned more about web design and internet marketing/SEO and established ProWeb365, a digital marketing company, with a clear mission: to solve the online marketing struggles people face, at a reasonable cost. Today when a client calls, or enters a ProWeb365 office, the first thing the ProWeb365 team wants to learn is, what are the client’s problems and goals, not how much money are they willing to spend. Phong wants to grow ProWeb365 into a reputable web design firm known not only for website design and digital marketing, but also for developing strong, long term relationships with his clients, relationships that help them grow their businesses. Phong loves to read books on business development, marketing, management, and real estate investing. He likes to apply what he has learned to innovate within his companies, as well as help clients establish a strong web presence so they can achieve their online marketing goals. Phong also provides digital marketing consulting services to companies and organizations. If you’re looking to give your website a fresh start, or need to give your digital marketing campaign a boost, contact Phong (Peter).